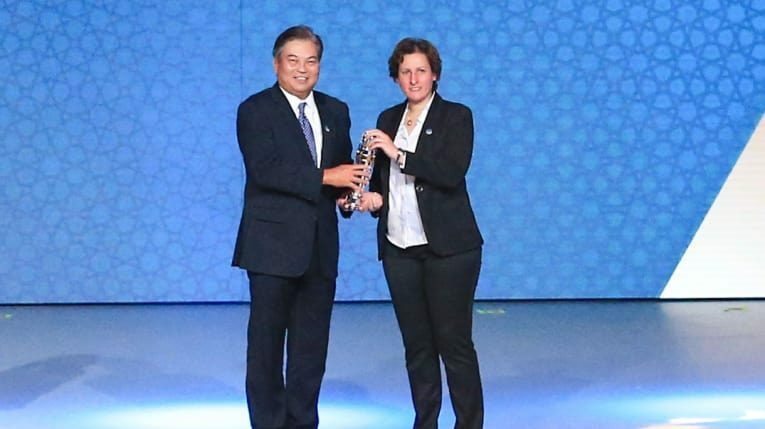 The AFC’s big night out to celebrate and recognise its players and federations at its 2018 Award in Muscat, Oman, this week was missing one person. Salah Abu Al-Atta should have been on hand to pick an award for the Palestine Football Association but was refused an exit permit from Palestine by Israeli authorities. Al-Atta is the deputy vice president of the Palestine Football Association (PFA) and would have collected the ‘Aspiring’ award in the AFC President’s Recognition Award for Grassroots Football category. Instead the award was collected by PFA vice president Susan Shalabi.